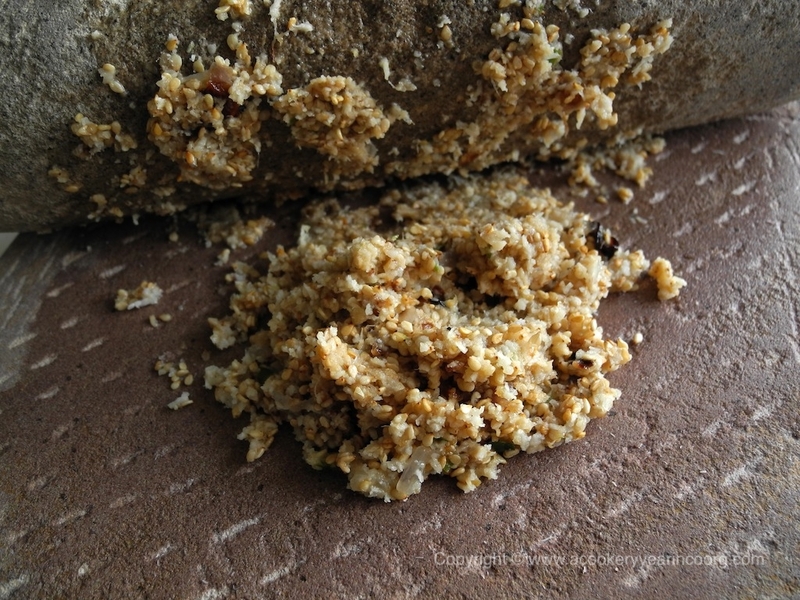 Dry roast the sesame on medium heat until it sputters.Grind all the ingredients together to a smooth paste. It’s hard to match the buttery texture achieved by grinding this the traditional way, on a grinding stone. Even the best “Indian mixie” falls short! If you’re using a food processor, grind the sesame before adding the other ingredients.You may need to add a little water to help grind the mixture.Use as little as possible. A tempering of mustard, curry leaves and broken red chillis is optional. *Roasted in embers would be ideal, but over an open flame, under the broiler, or in a hot pan will do too. Roast the onions with their skins on until they’re blackened outside, then peel.